Designed for use at home or in pre-school, this book explains the 42 letter sounds to children. 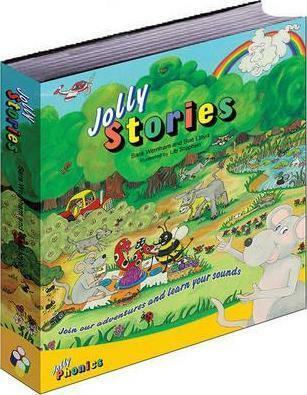 Each double page spread has one or sometimes two letter sounds, with a story involving the Jolly Phonics characters of Inky, Snake and Bee. There are also activities for reading words and sounding them out.